"A little known hard rock and psychedelic band, who just made the one album, My Solid Ground were amongst the most obscure of acts on Bacillus Records, but these days they are much better known amongst Krautrock aficionados. The band originated in 1968 from the town Rüsselheim, with the line-up: Willy Waid (drums), Uli Weyrauch (bass) and Bernhard Rendel (guitars, vocals). Establishing themselves as a psychedelic hard-rock band, unbefitting their name they were never a solid or stable band, with one Werner Geilenkirchen playing bass for a year before being replaced by Karl-Heinrich Dörfler. Gelling the sound proper was Ingo Werner on keyboards, however it seems that he kept leaving the band and returning. 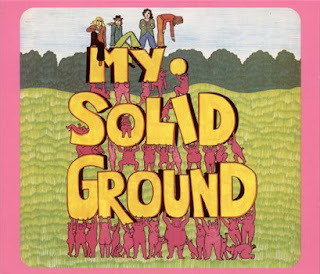 Various early demos and sessions (a whole albums worth) can be heard now on the Second Battle CD reissue of their sole LP release MY SOLID GROUND, showing their roots and diversity of invention. 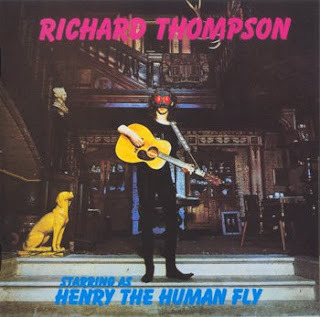 The LP itself is most notable for the tracks that feature keyboardist Ingo Werner, like the opening cosmic kind of Thirsty Moon-like opus "Dirty Yellow Mist" (a Krautrock classic) and the disturbingly sinister "Executioner" amongst them. Most of the rest of the album was more typical Teutonic hard-rock of the era, but with an inventive flair, a few surprises notably, and a nod in the direction of Guru Guru. A schizophrenic album maybe, but such variety also makes it unique. Scarcely two months after recording the LP, the quartet went to Baden-Baden's SWF radio to record a unique and remarkable session that showed the band advancing in leaps and bounds. The session, all instrumental by the way, consisted of four pieces that totally mix-up every My Solid Ground style into what often sounds like classic early Gila, with swirly keyboards and sizzling guitar, with nods to both classical rock and Pink Floyd's "Interstellar Overdrive". "Enchanting 70s' heavy metal from Germany. On the Rocks was recorded in 1976. 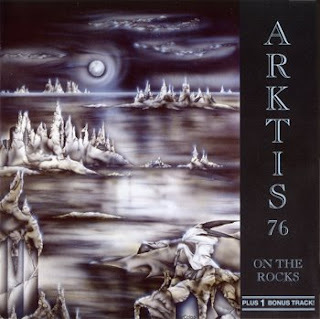 Although featuring simple melodies and not straight progressive metal with complex arrangements, such as, say, Rush, Arktis' sound is interesting for two reasons. The first reason is that their powerful guitar playing sounds Iron Maiden-esque for a mid 70s band and catches the attention at once. The second reason is that the voice of Karin is both very powerful and enchanting and sounds androgynous, which give the tracks a feel of fairy-tales. The highlight here is Loneliness, a beautiful powerful epic lasting 20 minutes. The tune is both heavy blues and melancholic passages in the vein of Pink Floyd. The doomy bonus track Y.T.T is reminiscent of Black Sabbath and really rocks !